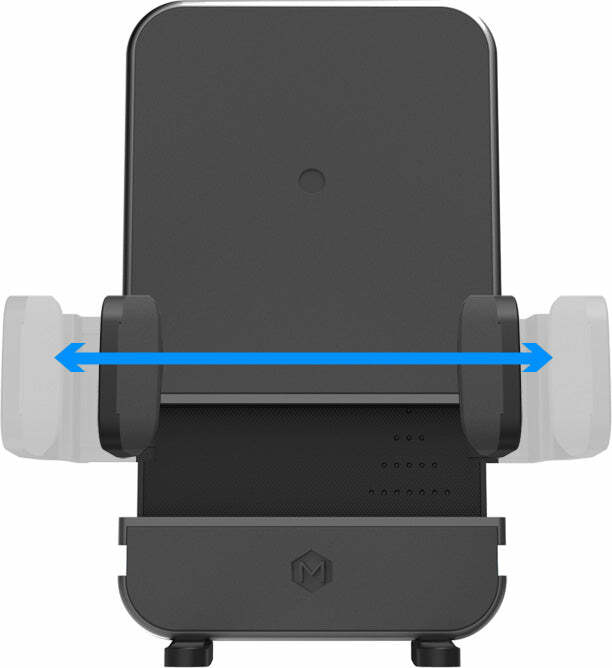 Sturdy cradle feet and super-strong Suction Base with gel pad ensure your mount stays put through even the roughest and toughest of bumps in the road. 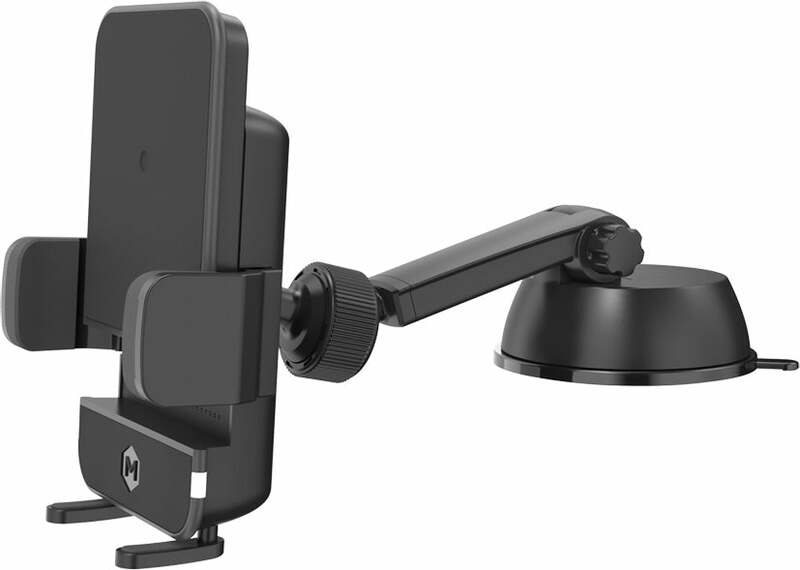 Adjustable arm allows you to tailor your view for either a normal or low angle, so you get convenience instead of craning your neck. 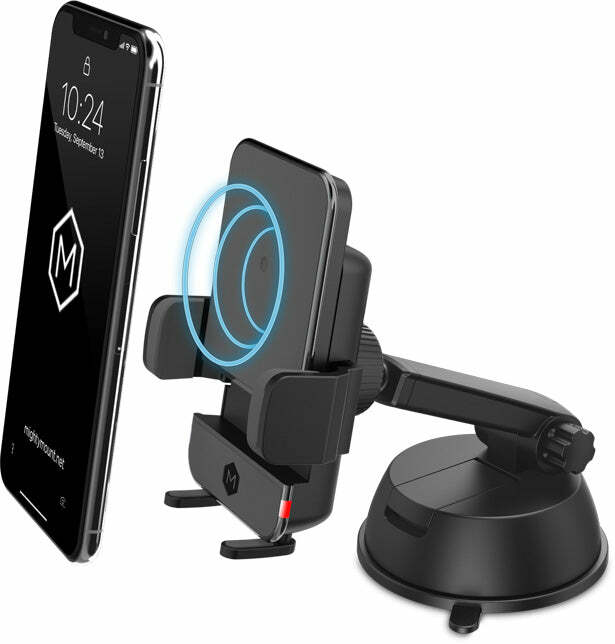 Adjustable Charging Pad and LED Charging Indicator allow your phone to stay wirelessly charged for the long haul, and you’ll know so with just a glance. I like this wireless charger for the following reasons: - Charges my phone fast and it didn't overheat; - Nicely made with a smooth finish; - Simple tasteful design; - Has a circular rubber piece, where the back of the phone is, to prevent scratching or slipping of the phone; - Infrared opening of the clamps and one touch of the left side bottom button to release the clamps; - Strong clamp that is used to mount the charger to the car's air vent; - Able to rotate the charging plate on the ball joint at any angle to get the phone facing the direction you want. A note to say that there are two small red lights on the top sides of the charging plate when there isn't a phone on it, and they turn blue when a phone is in it and is charging. 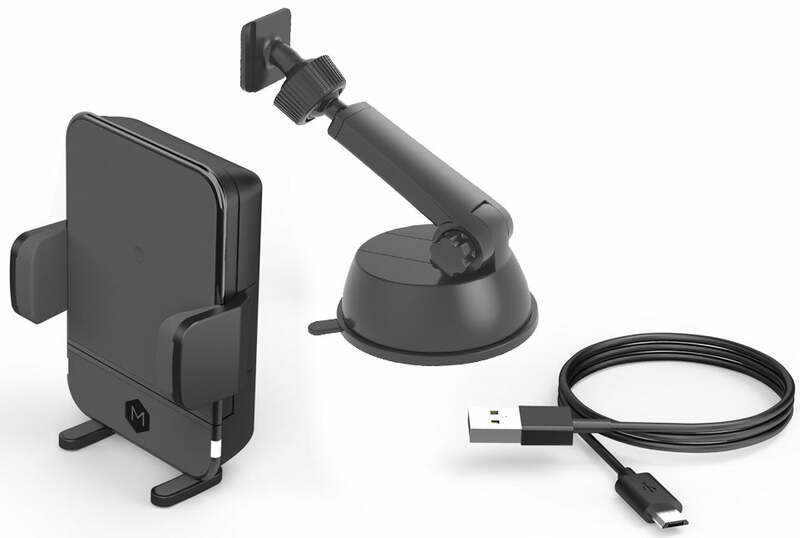 The lights aren't too bright so they aren't distracting and help you to see where the charging plate is in the dark. Really easy to put together and use. Didn't need the instructions that it came with. Phone (with slim case) easily slid into the holder and charging was great! The first item I received didn’t work well. I company got in touch with me sent a new one and it works very well. Customer service is outstanding. I purchased this so I can mount it on my windshield, it works EXACTLY how I want it to. 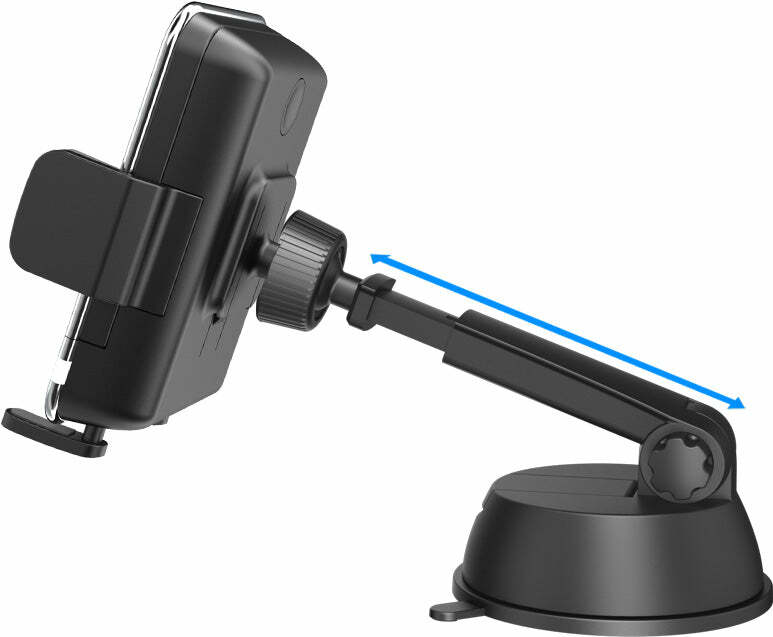 It is easy to use and I really like the opening at the bottom to allow for a charging cable. I would buy this again if I needed another one!